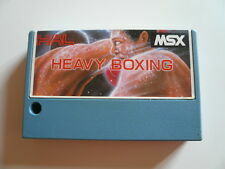 Home » Forum » MSX Talk » Development » When we'll see elinks for MSX? When we'll see elinks for MSX? 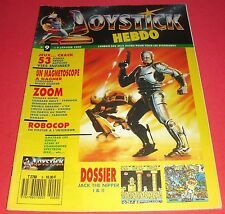 I'm quite impressed with the couple GR8Net / SymbOS , thanks to them our old MSX systems are now online. However I still miss a key piece: a web browser. I've been user of Linux elinks during several years and is a very capable web browser. 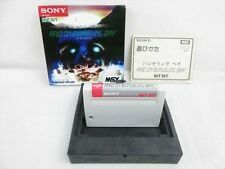 Would it be difficult to get it working in our MSX? As an alternative approach, check this out. I tend to prefer something of the sort, instead of a full text-based experience (since I do not plan to surf the web in text mode). My prime interest would be surfing sites on retrocomputing directly from my retrogears, not general web. Obviously, the effectiveness would depend on adoption of content providers - which would have to come from the retro communities. I've been using Ataris for 30 years, now I have 060- and ColdFire-equipped machines about as fast as early Pentium PC's. Even on these machines web browsing is painfully slow, limited and unstable. Not at all usable in real life, even for very simple tasks like accessing web-based Atari discussion forums. The only way to get a web browser on a platform with the hardware- and os-limitations of an MSX is to pipe everything through a proxy that does all the work, including the actual rendering as Pencioner mentions. Forget elinks or any other existing browser. Even AvantGo on the 16MHz 68000-equipped Palm Pilot was rather slow despite offloading most of the work to a server. @skumlerud But I'm talking about a text browser, obviously I don't expect any kind of graphics in a MSX browser. You surely are talking about a graphic interface, obviously this is impossible even on MSX turbo R.
@Pencioner So memory could be a problem? Actually GR8Net provides +512Kb RAM so considering that MSX internet users has at least this amount of memory the browser could be designed taking in consideration this requeriment. Perhaps a lightweight version of elinks light Lynx (desgined in 1992) could fit into MSX2, considering that is designed to run in VT100 terminals. This method is already available with a daemon programmed by EBsoft for the GR8NET. Quality would not be so excellent, but you can potentially surf the most part of internet. That is why I advocate for a retro protocol, like the RHML in the link I posted above. I think it would be much more operational in our beloved MSXs (and other platforms from the 80s), provided that we also start producing content. I think retrocommunities would adhere though, since we are both the producers and the consumers, and are eager for that - as far as I can tell. one can keep original html because the problems do not lie in html. The parsing of the Web page isn't the only problem here. Nowadays almost every website is using https instead of http. Unless someone implements the crypto part via hardware there wouldn't be any sites where to connect to.... Not even the r800 is fast enough.